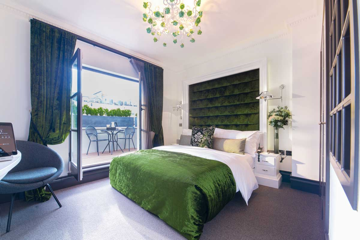 The Exhibitionist is a luxury boutique hotel in South Kensington, London, containing 33 rooms, 4 suites and 8 gallery spaces in a pair of beautifully restored 18th-century townhouses. Described as “a monochrome canvas for cool artists and trendy designers to splash with extraordinary works”, guests are invited to curate their own experience, from the scent in their room to a choice of private pools and secret balconies. Refurbished, rebranded and launched in November 2014, the hotel initially continued to use a “one stop shop” cloud PMS, channel and distribution manager. However, the management team quickly identified the need for a “best of breed” approach to their key systems in order to maximise potential in the luxury boutique market. Primary drivers were system reliability, management reporting, comprehensive OTA exposure and a class leading direct web booking experience. Xn protel Systems was selected to implement the protel Multi Property Edition PMS at both the Exhibitionist and a second hotel under the same ownership, The Gainsborough. The systems went live in June 2016. “We chose Xn protel Systems because of their track record in the London boutique market”, stated Manhad Narula, founder of The Exhibitionist Hotel. “Our Hotel Manager had experience of the company and system prior to joining us, so we were very comfortable that protel would overcome all of the obstacles we were experiencing with the previous system and that we would enjoy a more productive relationship with the Xn protel team”.